So its that time of the year when we are winding down so we can all go on our Christmas holidays. 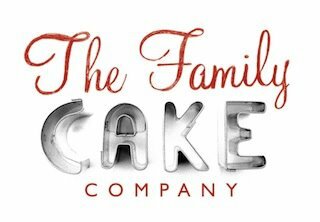 We are fortunate enough here at Family Cakes to be able to take a long vacation and enjoy the rest of the season in Scotland with my family. The bakery will be closed from 25/12/2010 through 3/01/2010. We apologize to our customers who are in need of a last minute Christmas treat, and since we will not be able to provide you with a sweet we will provide you with the recipe to help you do it yourself! 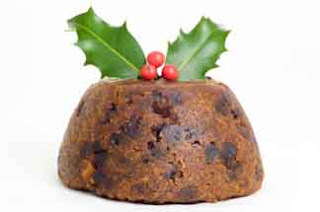 Combine sultanas, raisins, currants, prunes, apricots and brandy. Cover and let stand overnight. Sift flour, baking powder and mixed spice into a bowl. Add butter, sugar and breadcrumbs. Rub the butter through the dry ingredients with your fingertips. Add apple, golden syrup, eggs and fruit. Mix well. Spoon into a greased and baselined 10-cup pudding basin. Cover with a greased sheet of baking paper, aluminium foil and another sheet of baking paper. Secure with wetted string. Place in a saucepan of boiling water (ensure the water is one-third up the side of the basin). Cover pan and gently boil for 4 hours (check water every 30 minutes). Carefully remove pudding basin from steamer. Cool 15 minutes before turning out. Cool and wrap in plastic film and store in the refrigerator. Christmas Day: allow pudding to return to room temperature, then steam for 2 hours. One of the things we have become increasingly popular for is creating baked goods for offices and corporate events. People are always looking for new ways to market their business, and using baked goods has proven to be a deliciously attractive way to do it. One of the most popular things we do is make bags of cookies with business cards tied to them. 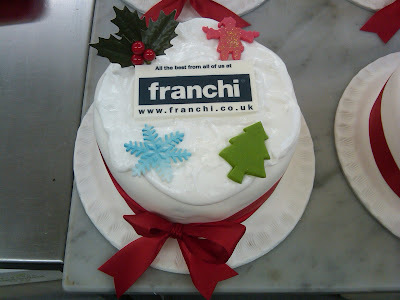 More recently we have been making cakes with logos on them for office Christmas parties. 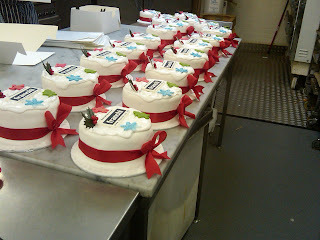 Here is an example of our most recent order. The company liked them so much they increased their order from 30 to 52! And remember if theres something you would like that you don't see on our website or our blog it never hurts to give us a call and see if we can whip up something unique and special just for you! 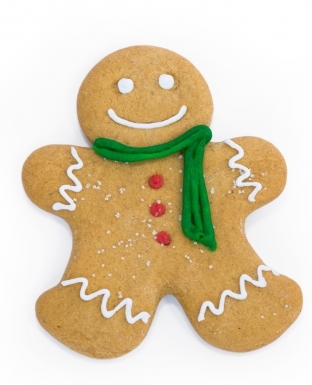 Besides fruitcake, Christmas is also the season for gingerbread cookies. I feel its about time I've shared one of my recipes for everyone else to try. Below is my recipe for Gingerbread Cookies which, besides providing you with a delicous cookie, will also give you plenty of room to use your creativity to decorate them. Enjoy! Beat the butter, sugar and molasses till light and fluffly. Press the dough into a flat layer between two sheets of greaseproof paper. Chill 1 hour until firm. Roll out dough on lightly floured surface, 5mm thickness for softer cookies or thinner for crispy. Cut out shapes and place on greased baking tray, chill. Bake in the middle of the oven for 8-10 minutes or until the edges of the cookies are light brown. Cool for 1 minute, transfer to wire rack. Dust with icing suger or decorate to your hearts content! 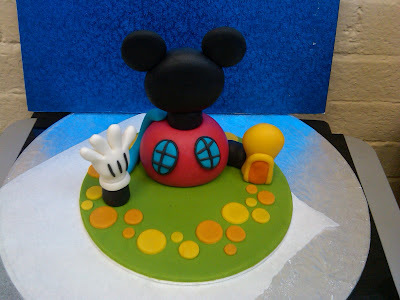 Our newest project is officially going to be a Mickey Mouse cake. Some lucky 5 year old is going to have his very own Mickey Mouse Cake which is going to include Mickey, his house, and his friends. Here is the very beginning. Don't you wish you were so lucky? More pictures to come soon! All finished! Looks great doesnt it?